As you know we have been supporting Marie Curie for the past year at Blythe Valley Park, raising funds to support the local Solihull hospice. We are now looking for you to help us to choose the next charity we support. There will be a ballot box at Foodie Friday on 23rd March, and an online vote which will close on Friday 13th April 2018. 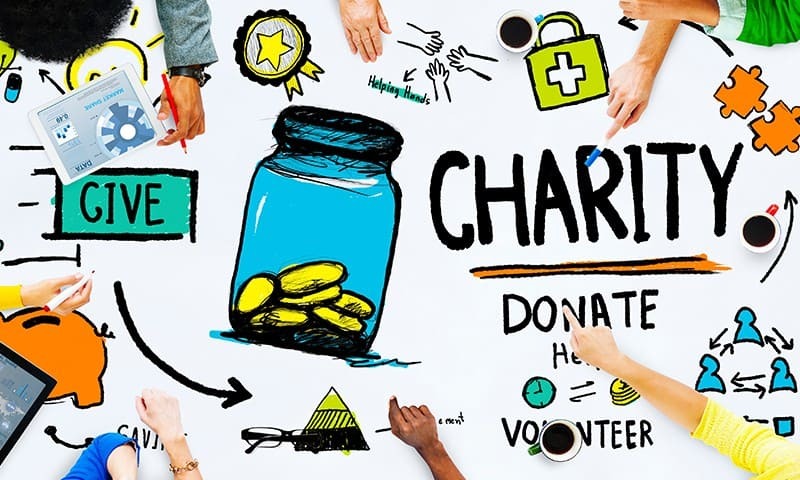 We have some amazing charities to choose from which have been nominated by our occupiers – so click read more and see who you would like to vote for! Email emily.coombs@improperties.co.uk with your vote. Dementia UK’s Admiral Nursing Service has been set up to support families through their dementia journey. The Admiral Nurses are highly trained, with a specialist understanding of dementia. They have the skills and experience to support families through these difficult times. Most Admiral Nurses work in the community for the NHS, and others work in care homes, hospitals and hospices – the team that works in Solihull and Birmingham area visit families in their own home, offering them support, advice and guidance. Sam Webb from ConocoPhillips has nominated Dementia UK’s Admiral Nursing Service as Blythe Valley Park’s charity for 2018. Sam’s wife is an Admiral Nurse who previously worked in the community and now works on the national helpline. The Solihull Hospital Charity raises funds to provide the added extras over and above what the NHS is able to provide. These added extras include equipment, projects, research, training, refurbishments and much more. The hospital charity exists to support patients, families and staff by making their stay and experience at the hospital a little more comforting. The Solihull Hospital Charity wouldn’t be able to provide the vital equipment and added extras without the support of the community, so they rely on donations and fundraising events to continue to provide essential support to patients and families. Dreams Come True is a UK children’s charity, whose mission is to enrich the lives of children and young people with serious and life-limiting conditions across the country by making their dreams come true. Over the last 25 years they have fulfilled dreams for more than 5,000 children and young people as well as their friends, family and carers. Jacqui Crewdson from One Central Boulevard is a Midlands area team leader volunteer for the charity, and has therefore nominated the Dreams Come True for Blythe Valley Park’s charity for 2018, as she knows how greatly appreciated the help would be by the team and of course its recipients. Zoë’s Place Trust is a registered charity based in Coventry that provides palliative, respite and end-of-life care to babies and infants aged from birth to five years suffering from life-limiting or life-threatening conditions. This care is provided in a caring, safe, home from home environment known as Zoë’s Place Baby Hospices. Fundraising is required to provide nurses and specialist equipment for the benefit of the babies and their families. Each year, the financial requirements of the Hospice increases, therefore the charity is extremely thankful to everyone that shows their support. Victoria Bennett from Siemens has nominated Zoë’s Place Trust as Blythe Valley Park’s charity for 2018, as she feels that this is a relatively small and trustworthy charity that deserves the help. The Nuneaton and Warwickshire Wildlife Sanctuary was set up in 2001 to rescue sick and injured animals with an aim to release them back in to the wild once they have recovered. Over the past 17 years, the Sanctuary has rescued well over 10,000 birds and animals. The Nuneaton and Warwickshire Wildlife Sanctuary relies on the work of their dedicated team of volunteers; who help out at fundraising events, talks, and shows to raise money for the Sanctuary. Victoria Bennett from Siemens has nominated The Nuneaton and Warwickshire Wildlife Sanctuary as Blythe Valley Park’s charity for 2018, as she feels that this is a relatively small and trustworthy charity that deserves the help.